Hyderabad is the capital city of the Indian state of Telangana. Hyderabad is a major center for the technology industry including software export. Hyderabad blends Technology, Architecture, Arts and has a rich history, food and a multi-lingual culture. ​Geographically Hyderabad is mostly a flat land that has a dry deciduous forest areas/ It is also blessed with beautiful granite formations as its natural heritage for recreation, adventure and outbound training. The Different types of Outbound programs interventions that can be conducted in Hyderabad range from 1 day to 3 days and include outdoor, adventure and group development actvities that are designed around enhancing behavioral outcomes, performance and change. The versatility of the application of the outbound methodology makes the training intervention a great choice for team building, behavioral skills training and leadership development programs. Outlife as an leading Outbound Training company from Hyderabad can design and deliver an impactful outbound training program that can be the key element of developing a tight knit, effective and high performance team for your organisation. 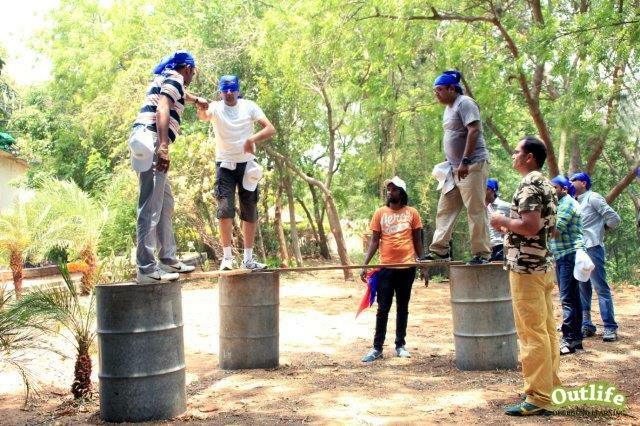 You get to choose from over a 100+ corporate outbound training activities that include outdoor, adventure, team building actvities and experiential group actvities. Hyderabad Offers a plethora of Outbound Training venues to choose your next outbound. whether you want rustic outdoors location or a green luxurious star resort, Hyderabad has the best venues for your outbound training programs. We strongly recommend that the venue be close to nature and in the outdoors as the outbound program is more effective when participants are of out of their comfort zones. 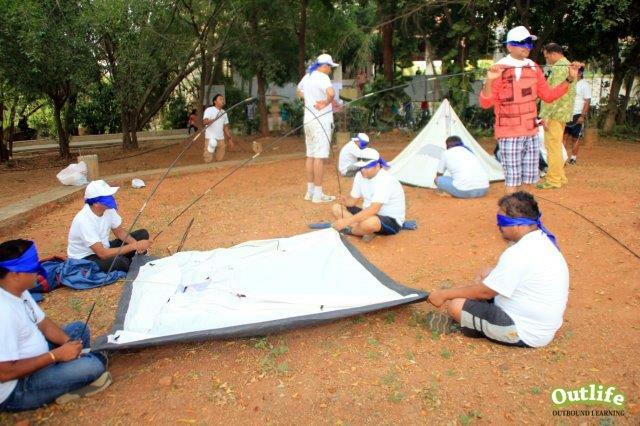 We can setup a camping site from scratch with all amenities for conduct of outbound training in Hyderabad. Some of the regular venues for outbound training in Hyderabad Include.